MailChimp is a powerful email marketing tool that will keep you connected with current New Zealand customers. And, it will help you attract new business worldwide, simultaneously. MailChimp is an online email marketing service. You can use it for creating, sharing and reporting on newsletters and campaigns. Yes, you could use your preferred email program to do this, but MailChimp has a few things that your inbox doesn’t. With MailChimp’s exclusive marketing automation in place, you can target customers based on previous sales, location, preferences, and overall behaviour. 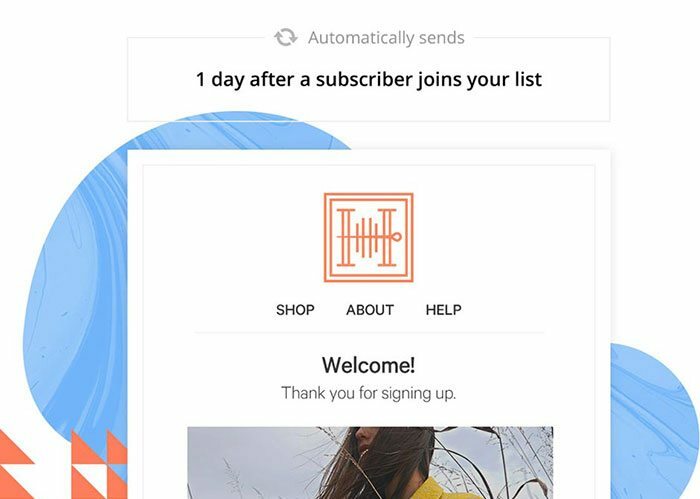 We’ll plug your sales channels into MailChimp’s effective e-commerce solutions to create targeted email campaigns, Facebook advertisements, and even product or service follow-ups. The MailChimp system can also assist with product fulfilment via email delivery, order notifications, and delivery tracking. When it comes to mobile marketing, MailChimp has you covered. Not only can your campaigns be executed on a smartphone or tablet, but everything from ecommerce revenue to audience growth can be monitored. And most importantly, as a digital agency, we can help you build and design a custom template that maintains the consistency of your brand so you can use it for everything from newsletters and announcements to special offers and customer surveys. Every channel you use to communicate with current and potential customers will be seamless in look, feel, and style. Sending email newsletters through the MailChimp system saves you time and money so you can focus on building your customer base and optimising your profits. 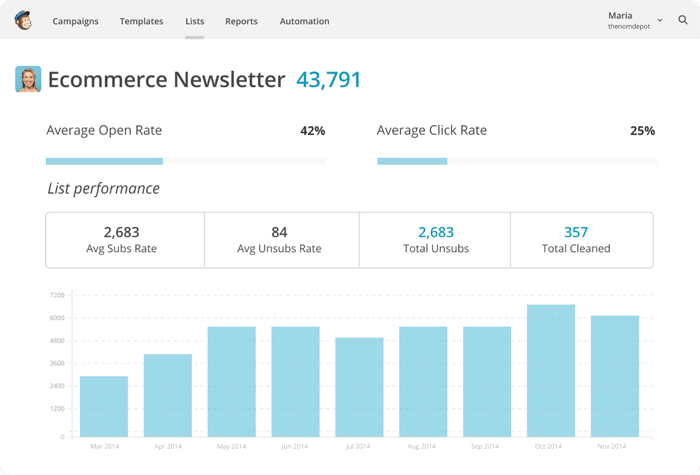 New campaigns can be set up with just a few clicks on the keyboard, and keeping track of analytics is just a matter of monitoring MailChimp’s comprehensive reporting. The ability to mix-and-match various MailChimp services at any time means that the system will grow with you as your business needs evolve. MailChimp’s interface is easy to manage and can be customised to meet your company’s specific needs at any given time. Because MailChimp is an approved bulk-emailer, you don’t have to worry about your marketing emails ending up in recipients’ spam boxes. As part of the MailChimp network, you will never be left in the dark when it comes to digital marketing on any level. Accommodates up to 2,000 subscribers and 12,000 sent emails each month. Includes automation, sign up forms, templates, and analytical reports. Accommodates up to 2,600 subscribers and offers the ability to send unlimited emails each month. Includes the “New Business” features plus segmentation, collaboration, and email send time optimization. Accommodates up to 2,600 subscribers and unlimited sent emails each month. Includes the “Growing Business” features plus API tracking, multivariate testing, flexible automation, metrics reporting, and transactional email. As you can see, there is a plan available for businesses of all sizes and with all needs. You can scale your plan to meet your growth as times goes on without worrying about service interruptions. Aside from your ongoing charges above, our creative team can assist with the once off design and development of your MailChimp template/s. Our developers will take care of all the code, and setting up your mobile friendly templates for you to easily reuse time and time again. Additionally, our team can take of the entire process, while you stick to doing what you love. From newsletter copy writing and content loading, to sending and reporting on your campaigns. If you want to tap into the limitless power of digital marketing, you need MailChimp by your side to implement, manage, and improve your sales results in the coming months. 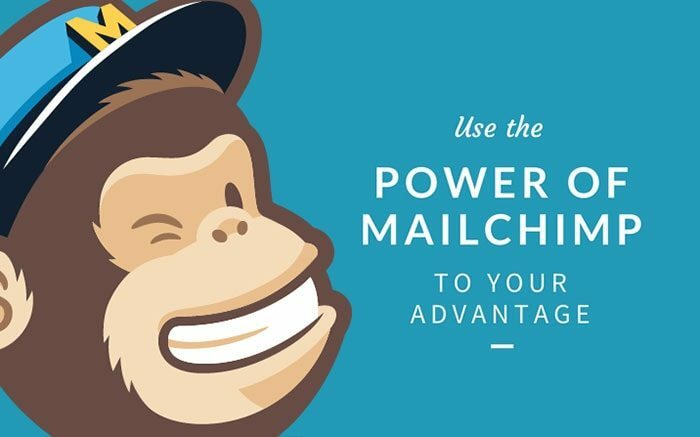 The raw power of MailChimp will help set your business apart from the competition. Establish yourself as a thought leader within your industry. Let us help you get the most out of MailChimp’s offerings – contact Phancybox to learn more about working together to create optimal results that you may not have even thought possible.